Today I'm really excited to tell you 2 lots of news! The first news is we have launched our first print-at-home stationery range on our website. The stationery range has been designed for DIY bride and grooms on a budget who are looking to save pounds off your stationery. 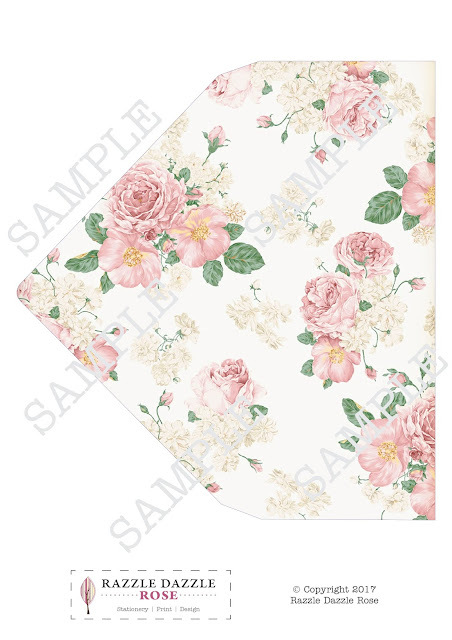 The Old Country Rose design is the first range available that can be printed at home. All you need to do is choose the stationery items you require from or website, if it's a design that needs us to personalise, then email us your wording at the time of ordering, (after the all important proofing service) we then email you the pdf to print at home with cream or brown card and envelopes which are part of the DIY kit available our our website. 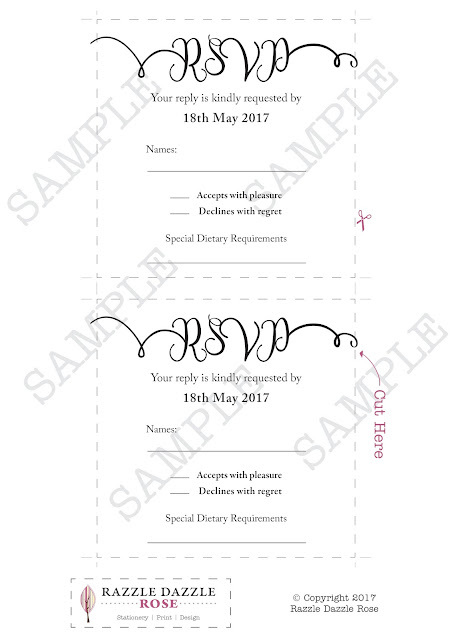 We particularly love the Old Country Rose Square Invitations, with matching information and rsvp cards. Shown here with one of our brown kraft square pocketfold wallets. The 2nd lot of exciting news is we have also launched our DIY stationery video tutorials. After several attempts (and plenty of bloops! 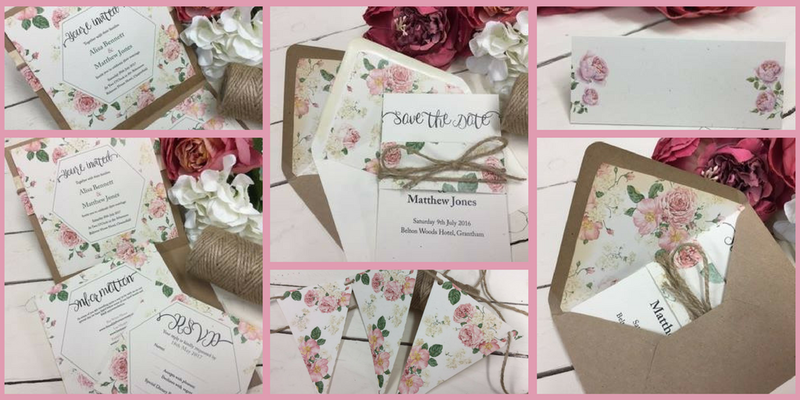 ), we have made a video showing you just how easy you can DIY your wedding stationery using the Old Country Rose Collection. For a plain but classical look, you can choose the Old Country Rose printed belly band, and purchase the save the date from the In Love Collection, which is also on the website by clicking here. Here we have added an Old Country Rose envelope liner and a little rustic twine to complete the look. Envelope liners are available for C5 or C6 envelopes. Here I added a little Antique Linen Distress ink to the edge to give a more rustic look. All the designs are emailed to you as A4 pdf's. Each pdf has easy to follow guidelines on each design, all you need is a paper trimmer and some sharp scissors. Good Luck with your DIY projects! There will be a few more designs uploaded shortly. Don't forget to view our easy to follow tutorials by clicking on the link here. Please subscribe to the videos to get more handy tips and advice from me. Also by subscribing you will be able to view more videos as they are uploaded.